Published 2017 (est.) by Dynamite Entertainment. Limited 1 for 10 Retailer Incentive Variant Cover. Written by Sholly Fisch. Art and Cover by Igor Lima. You're the world's greatest hero, exiled to another dimension with no way back. Trapped in an alien world, where not even the laws of physics work the way they should. The only person who even believes you exist is a young kid whom no one will listen to. Yet, you're the shining light that this drab, cynical world needs to restore its color and life. Oh - and you're a cartoon mouse. 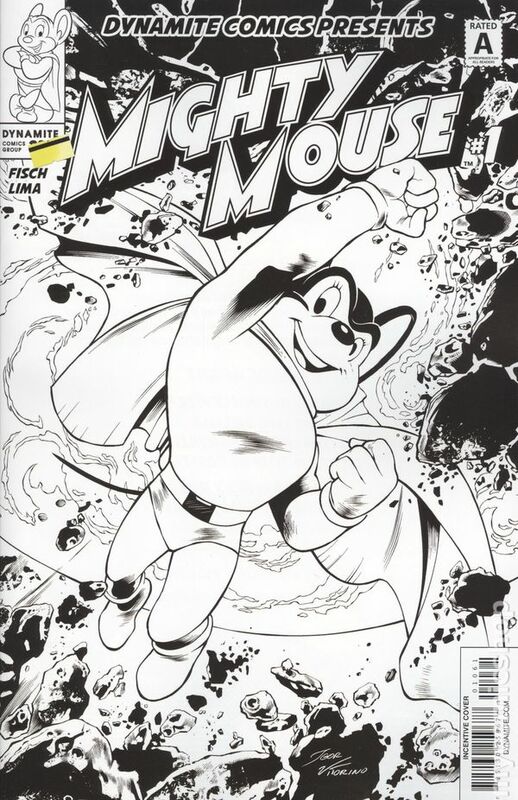 Here comes Mighty Mouse to save the day, in his most unexpected adventure yet... right here, in the real world! 32 pages, full color.